Any merchant who processes recurring payments is susceptible to chargebacks. In fact, accepting recurring transactions is one characteristic acquiring banks and processors consider high risk. Fortunately, with proper management techniques, recurring transaction chargebacks can be kept to a minimum. What Causes Recurring Transaction Chargebacks? There are several reasons why a merchant would see a Visa chargeback reason code 41 or a MasterCard reason code 4841. Minor missteps could be costing you major revenue. Contact us now … before your business is labeled “high risk”. The merchant processes a transaction after the cardholder requests a cancellation. The credit card charge is higher than what the cardholder originally agreed to. The merchant didn’t notify the cardholder of the upcoming charge (if this action was previously agreed upon). The cardholder closed the credit card account. The cardholder engages in friendly fraud, filing an illegitimate chargeback because it seems like a no-hassle cancelation tactic. It should be noted that reason codes 41 and 4841 cannot be used to dispute an installment billing transaction. Also, the chargeback amount is restricted to the unused portion of the service or merchandise. It is possible to successfully dispute a recurring transaction chargeback. The card networks list the following criteria. The merchant can prove the transaction was not part of a recurring payment plan. For example, it was an installment billing transaction instead. The merchant can provide documentation that proves the services were not canceled. The cardholder failed to meet the cancelation terms of the signed contract. The merchant can provide documentation that proves neither the acquiring bank nor the merchant was notified that the account was closed. The merchant can prove the services were provided and used after the cancelation date. The cardholder agreed to clearly defined terms and conditions. To prevent recurring transaction chargebacks, merchants simply need to adhere to business best practices. Before completing the initial purchase, share the terms of service with the cardholder. Make sure the cardholder knows what is involved in the recurring payment process. Ask the cardholder to agree to the terms of service by signing or clicking accept. Process the first recurring payment like a normal CNP transaction; send AVS information, the card security code, and the expiration date with the authorization request. Submit the expiration date with each subsequent transaction. Disclose additional fees and restrictions. Outline the cancelation policy and any termination fees. Use Visa Account Updater. VAU is an information clearinghouse for merchants and acquirers. Issuers share new account information after updates have been made. This helps reduce the risk of processing a recurring transaction with outdated information. If the recurring transaction amount will deviate from the norm, let the cardholder know. Changes must be reported in writing 10 days before the transaction is process. Cardholders have the right to cancel the transaction if they don’t agree with the new charge amount. Engage in customer service TLC. Keep the business and brand fresh in the customer’s memory. Communicate regularly with the cardholder; a loyal customer is less likely to file an illegitimate chargeback. Implement prevention strategies and you’ll receive fewer recurring transaction chargebacks. Reoccurring payment plans are great; they ensure the profits keep rolling in. However, recurring transactions only increase revenue if risk is minimized. With the rise in friendly fraud, merchants are seeing more and more illegitimate recurring transaction chargebacks. That’s why merchants need an all-inclusive chargeback management plan. Merchants must be able to isolate friendly fraud and implement prevention tactics that successfully address this cyber shoplifting and innocent merchant error. They also need to fight back against friendly fraud. If you are struggling with recurring transaction chargebacks, contact us today. 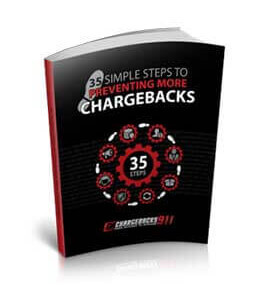 Chargebacks911® will review your situation (for free!) and offer suggestions for improvement.